Erin Darke is a talented American actress whose biography is worthy of filming. From an early age, the girl dreamed of fame and starring roles, and she succeeded thanks to dedication and perseverance. Erin’s most famous work was the film Kill Your Darlings, but there are still many bright characters in Darke’s filmography. The future screen star was born on September 10, 1984, in Michigan. The actress later admitted in an interview that she sowed acting talent in her early childhood. Little Erin participated in every school play and soon gained the glory of the best actress among pupils. After graduation from high school, the girl entered Michigan University's College of Fine Arts, choosing the acting department. Becoming a certificated actress, Erin chose the ordinary way and began to improve her skills on the stage of the local theater. This work did not bring Darke glory, but it was an invaluable and useful experience. After a while, the girl was aware that it was necessary to continue to study and improve professional skills to achieve more significant results. So the actress went to New York, where she enrolled in notorious Bob Krakower’s acting courses. Erin's talent was noticed in the big city, the girl was immediately invited to join the troupe of one of the local theaters, and she was also offered bit parts in films. As is often the case, Erin Darke acting career began with insignificant small roles. However, in 2011, she was offered four good contracts. The first film We Need to Talk About Kevin attracted the attention of the Cannes Film Festival and the interest of viewers. Actress Tilda Swinton played a leading role in this drama, but Erin got one of the minor characters. The same year, Darke agreed to shoot in Jason Reitman’s film Young Adult. Dramatic moments together with high-quality humor make viewers watch this movie again and again. Erin Darke's partners on the set were inimitable Charlize Theron and Patrick Wilson. Erin played a bit part again, but viewers remembered the talented girl, and she had new fans. Erin Darke’s next notable work was the movie Kill Your Darlings. This biographical drama about the life of writers William Burroughs and Jack Kerouac, poet Allen Ginsberg and Lucien Carr, a founder of the Beat Generation in literature, won many prestigious film awards and even an award at Venice Film Festival. Erin appeared on the screen with actors Daniel Radcliffe, Elizabeth Olsen, Ben Foster. One more prominent work was the film The Quitter, released in 2014. In the beginning, the plot seems trivial, but it gradually captures the audience’s attention, makes them worry about the title characters’ fate, laugh and be sad. Neil Jain, Dan Grimaldi, Joshua Rivera starred in the film. One more film with Erin Darke is Complete Unknown, but neither critics nor spectators appreciated the movie. Many people called this drama overextended and uninteresting. Erin’s partners on the set were Rachel Weisz, Danny Glover, Michael Shannon. Complete Unknown premiered in 2016. Erin Darke appeared in the series too, though she has not got the coveted leading role yet. So, in 2014, the actress played in an episode of the project Black Box with Vanessa Redgrave and Kelly Reilly, and a year later Erin's filmography included a bit part in the crime film series Battle Creek where her partners were Josh Duhamel, Dean Winters, Janet McTeer. But the year 2016 brought the actress a more prominent role in the drama series Good Girls Revolt. Erin Darke’s personal life has caused a stir in society columns even more than her acting career. The fact is that the actress’s boyfriend was a colleague, Daniel Radcliffe, known for the role of the young wizard Harry Potter. It was an office affair because the young people met on the set of the film Kill Your Darlings. Initially, there were many obstacles to their relationships. At that time Daniel dated a girl, Rosie Cocker. There were even rumors about the wedding of the actor, but he chose a new girlfriend. Later, Radcliffe admitted in an interview that he felt tired and exhausted in the relationship with Rosie, and separation was a matter of time. One more obstacle, which could keep Daniel from dating Erin, was the age difference because Darke is five years older than her boyfriend. 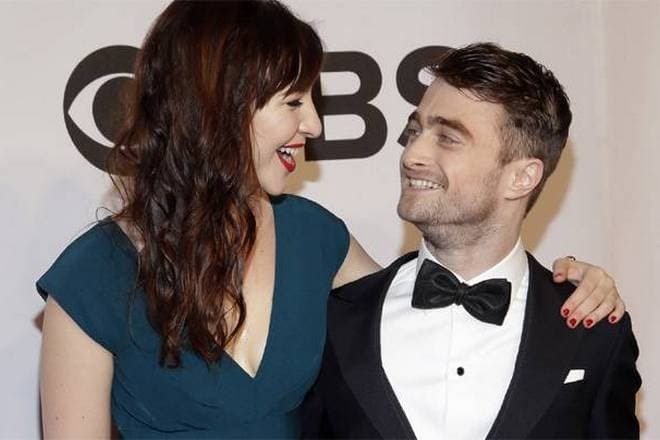 Besides, the girl is noticeably taller than the young man (according to information on the Internet, Erin Darke’s height is 170 cm, whereas Radcliffe's height is only 165 cm). These relations also had problems. There was even a moment when the young people broke up, deciding to slow down their relationship. However, they soon realized that they did not imagine life without each other, and began to date again. Photos of the happy couple appear periodically in the press as well as rumors about the wedding, but the young people have not said an exact date yet. Nowadays Erin Darke continues to play in new films. So, in 2018 viewers have already seen Jordana Spiro’s film Night Comes On with Erin. Besides, the film Summer '03 will be soon released, where the actress has got one of the title roles. One more series Dietland with the participation of Erin Darke has also premiered in 2018. 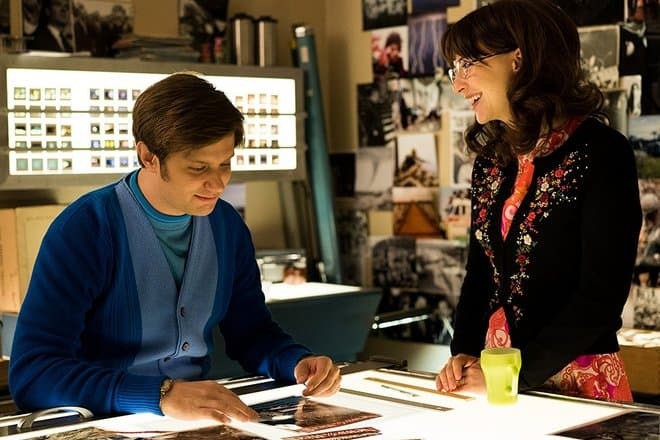 This dark comedy-drama television series, reflecting the modern people’s obsession with losing weight, has already got good reviews from critics and has every chance to become a new hit movie. There is news about Erin's next projects, as well as further plans and details of her personal life on the fan pages on Instagram, Twitter, and other social networks.